Apart from DBX to MSG, the software Converts DBX files in more than seven file formats. Click on Create Collection to built new one. Give Title Name, Collection to path to create new collection. Click on scan file option. Browse file and click on add. Software provides 8+ preview modes to study anatomy of dbx file. Utilize search option provide by dbx to msg converter software to find any specific emails. Right click on emails to export it. For bulk use export option given in menu bar. Choose MSG file from list given there and use option to enhance results. Click on OK to proceed further. I was recently forced by circumstances to perform complete system clean up & reinstall XP version of Windows Operating System. I willingly take backup of all my important data such as Emails, Pictures etc. So that I, later on, restore it. All the items get restored but Emails Files which are kept in the folder not recognized by the email client. I executed all methods to resolve but nothing went right for me. I want to retrieve my data back in the format which can be easily viewed in normal text editor also. Does software convert bulk DBX file in batch? Can I convert attachments also with software? Is there any limitation exhibits by the software? Does any external application require for conversion of DBX to MSG? Is there any possibility of data loss while conversion? There is always the possibility of corruption of data when detached data tried to attach again locally in an application folder. Email application denies recognizing the files as there might be changes made into it by malicious software or virus. But there is no need for panic & worry as DBX to MSG converter is the most trusted software especially recommended by data experts which easily converts DBX to MSG in batch. It maintains the folder hierarchy & preserves metadata as well to ensure the data integrity. There are no such limitation exhibits by software. It is the stand-alone tool which diligently imports DBX to MSG. Is there a way to find DBX files when the path is not known? Yes,you can very well search for DBX files on the entire disk or within a chosen partition by using the Find Mode during file selection when the location is not known or files need to be selected from different partitions. I have a lot of emails to be migrated. How will I be able to sort from them afterward? You can use the Naming Convention option during migration of n number of emails from DBX files into single message file format for Outlook (MSG). The option offers to name the migration output according to its; subject, date, sender's name or MD5 value to make sorting easier afterward. How can I maintain the migration details for future reference? "I will be migrating a lot of emails from DBX to MSG and just wanted to ensure that all emails have been transferred successfully. How can I get the detailed information for future reference?" 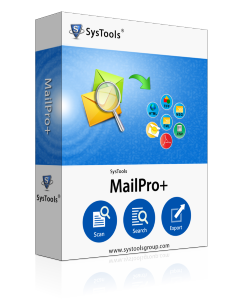 The software reports the complete migration of each email message along with details like: source file path, subject of the each message, exported file path, status of export along with number of emails (total) & those successfully migrated. This software generated report can be saved as a Comma Separated Values file for future reference purpose. What to do if not all the DBX files need to be processed? "I just loaded all the DBX files that were available on the system however, the need is to just migrate a specific number of emails from a certain user. What is the possible way to do so?" You can use the Search option to find emails from a particular sender and use the check boxes provided against each resultant message to select them. Once done, right click and select Export to proceed with the migration of selective messages. It won't be wrong to call MailPro+ an excellent email conversion platform for the way it manages the entire transfer from start to end. I particularly liked the creation of a collection to manage the migration specifically. Give a try to free version of the tool. Choosing trusted software is the most important when you have to ensure confidentiality while performing conversion of data from one email platform to another. Selecting non-trusted or less secure software leads to corruption of data as well. To convert DBX to MSG, you can opt for DBX to MSG converter which is trusted software from well reputed software company. It simply import dbx to msg with complete metadata & attachments.